Courtesy photo/Gloucester Daily Times.Rockport: Carl Gibbs of Rockport clears debris from the Nugent Stretch in Rockport on Tuesday afternoon. 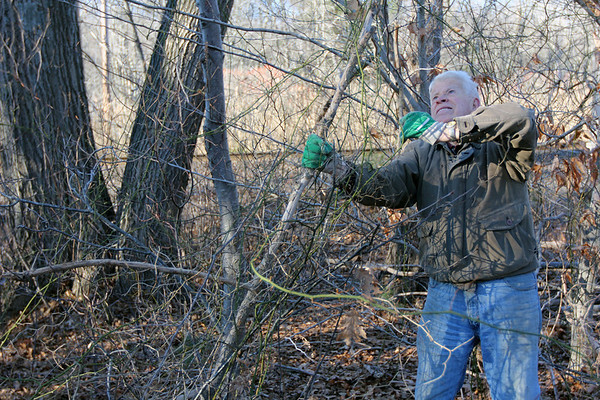 He had earlier cleared trash from the area, and was piling up dead tree limbs and branches neatly "so it looks nicer in the spring." He goes and clears roadsides like this as often as he can, and has done so no matter where he's lived, "a little bit at a time."